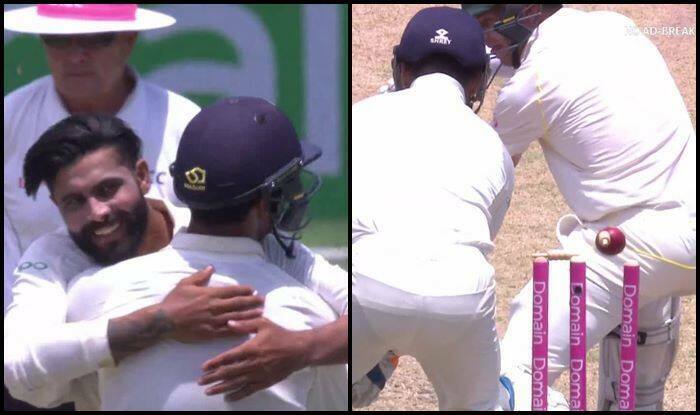 India vs Australia 4th Test Sydney: Ravindra Jadeja once again got among the wickets as he got rid of Marcus Harris on 79, who was looking set for his maiden Test hundred. India vs Australia 4th Test Sydney: Ravindra Jadeja once again got among the wickets as he got rid of Marcus Harris on 79, who was looking set for his maiden Test hundred. Jadeja got Harris tempted and Harris fell for the bait. This was tossed up wider and went with the angle, Harris wasn’t fully forward nor back as he pushed at that, well away from his body and the inside edge clatters into the leg-stump. India needed an opening after lunch and he provided them that. One feels sorry for Harris as he had not put a foot wrong and then to miss a hundred that was there for the taking will hurt him, but teach him a lot about Test cricket. He looked confident even when he walked out to bat for merely 10 overs. He was looking positive and playing his shots. He is also getting good support from the other end after Harris and Khawaja got the hosts off to a sound start.